Engine line-up includes a diesel and 3 petrol variants. The Chinese-Spec Kia K5 sedan facelift has been showcased for the first time in China at the 2015 Shanghai Auto Show. The Chinese K5 is differentiated from the new K5/ Kia Optima sedans previewed in other markets with exterior styling elements, and will go on sale later this year locally. 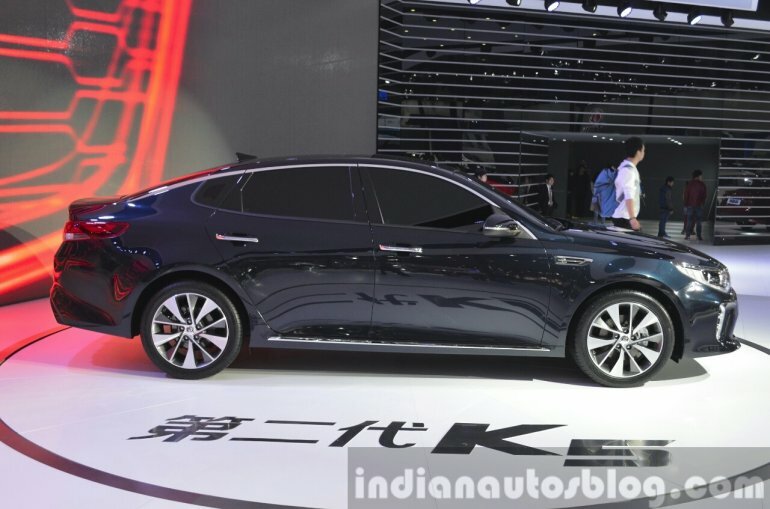 Though the next-generation K5 in China sports the familiar Kia design language akin to the new Optima, the trapezoidal lower grille design and a long chrome strip on it is unique to the Chinese car. It also gets a new alloy design and twin-exhaust pipes. 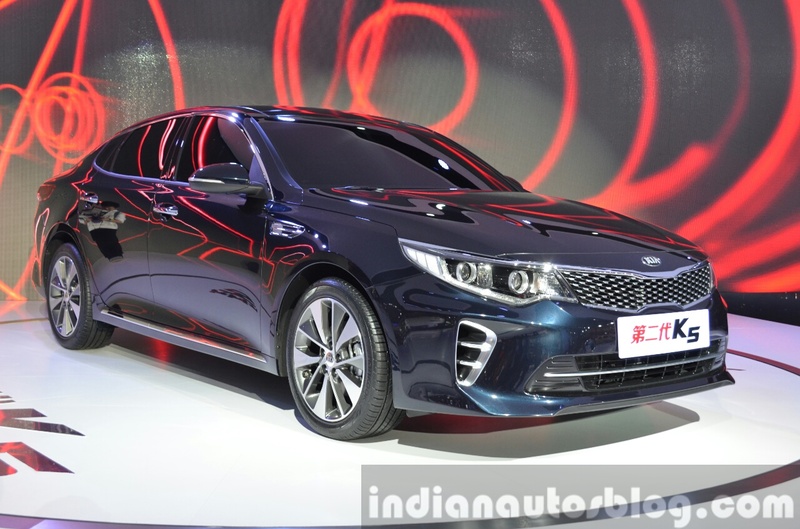 Otherwise, the sedan shares exterior elements like projector headlights, Kia’s familial tigernose grille, slender daylight opening, and the tail section with the new Kia Optima (US-spec). 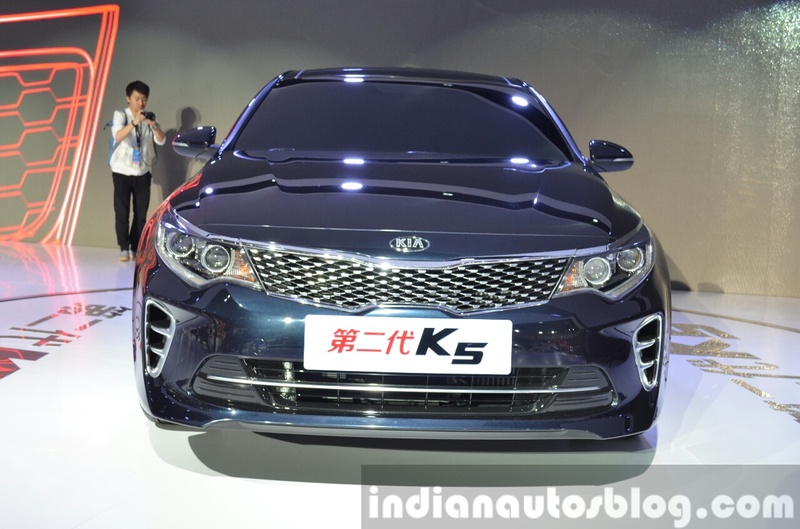 The 4-door K5 rides on a new platform and is based on the new seventh-generation Hyundai Sonata (LF). Over 50 percent of the sedan’s body is made from high strength steel. The Kia K5 globally is offered with a well-covered engine line-up consisting of a diesel, 3 petrols and a hybrid version. This includes a turbo-charged 1.6-liter and a 2.0-liter petrol units, a naturally-aspirated 2.4-liter petrol motor, a 1.7-liter diesel, and a hybrid variant with a 2.0-liter petrol engine and 30kW electric motor. A 6-speed Tiptronic automatic transmission is available on select variants. 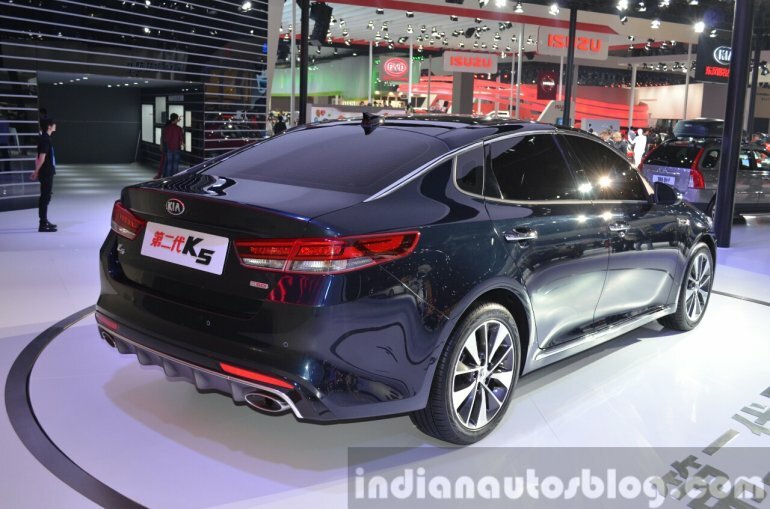 The Chinese Dongfeng-Yueda-Kia joint venture will manufacture the new Kia K5 mid-size sedan which competes with the Toyota Camry, the Peugeot 508, and the Volkswagen Passat.